Take a trip to the cosmos with this astrological barrel bag. 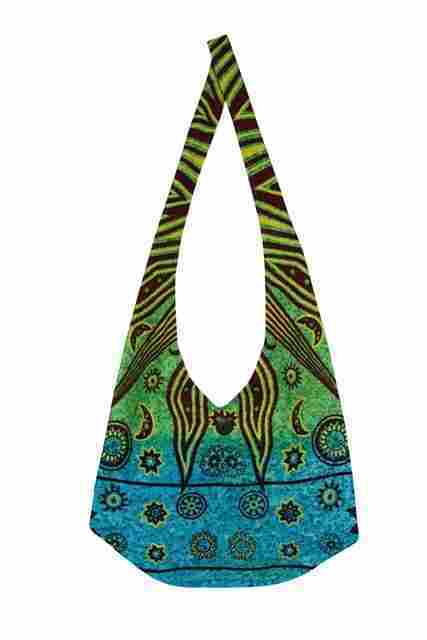 This purse features vibrant turquoise blues and neon greens and a celestial print pattern. It measures approximately 16"x 12" and has a button closure.